Greg Barber, Senior Consultant with BEST Safety Training was born in London Ontario and raised in Elgin County. 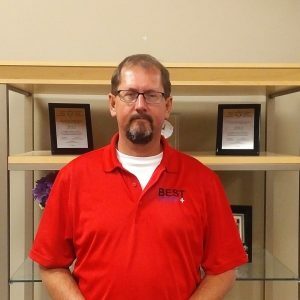 With over 30 years’ experience in the Environment and Health and Safety Industry, Greg has experience in Public, Construction and Industry related fields and began his Health and Safety career while employed at Ford Motor Company. Greg also served many years as a Paramedic. Greg has experience in developing and coordinating health and safety programs, conducting accident investigations and has an awareness of current and emerging occupational health issues. Greg will support and facilitate positive work relationships and deal with compliance issues as required. He brings excellent presentation and facilitation skills to your workplace with a goal to improve the safety culture and mentor the employee's within your company.